Avocados are used for toast toppings, desserts and smoothies. The versatile avocado is often touted as a health food. The nutritional content in avocados are especially relevant for good health. The fat content is very nutritional.The avocado is very popular. Furthermore, the avocado has a rich, creamy, velvety texture with a mild flavor. The avocado or Persea Americana is a fruit that belongs to the family of Lauraceae. Therefore, cinnamon and laurel are in the same group. Avocados come in different varieties. They range in size, color and texture. The avocado grows in tropical climates. In addition, when the avocado has ripened, the flesh softens to a buttery texture. The content of avocados can be used for toast toppings and desserts. 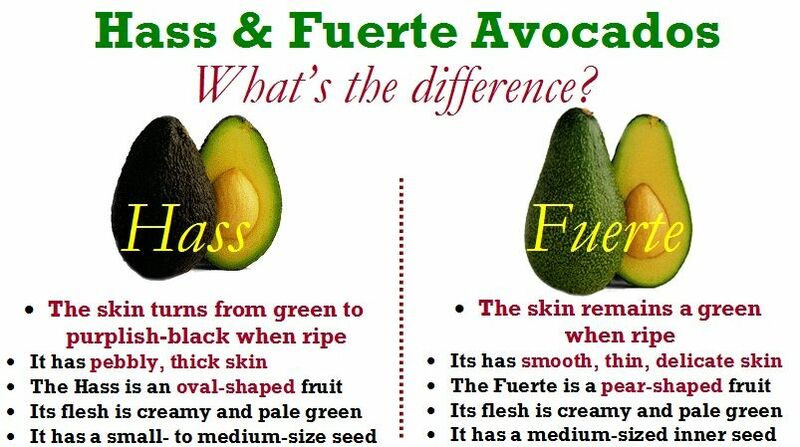 The Hass and Fuerte are two varieties of avocados. Sold in the UK, the Hass avocado hails from Guatemala and has a dark purple/brown, pebbled thick skin. The Hass avocado is oval in shape. In addition, the Fuerte avocado is from Mexico and has a thin, smooth, brighter green skin. The avocado has less oil and is less creamy. Furthermore, the skin of the Fuerte is not as strong. The avocado is picked under ripe to prevent damage in transport. As a result, Fuerte avocados take longer to ripen. Sometimes the Fuerte avocado won’t ripen. Hass avocados are the better bet for the consumer. They have a better fat content. Avocados are from Central and South America which is most noteworthy. Avocados did not appear in the UK until the mid-1900s. They are produced in the US, Caribbean, Mexico, Brazil, Israel and Australia. Because of the cold climate avocados cannot grow in the UK. Avocados are full of monounsaturated fat and vitamin E. But avocados are high in calories because of the monounsaturated fat content. Half an avocado counts as one portion for the day. Therefore managing your weight will take some discipline. Most of all, you have to limit the number of avocados you consume. The fat is healthy when you eat a clean diet. Have the avocado two times a week with your fruits and vegetables. Consequently, you can increase the portions of lower calorie fruits and vegetables. The content of avocados has more soluble fiber than other fruit. In addition, the avocado contains a number of useful minerals. Iron, copper and folate and are a good source of potassium. Avocados are loaded with these minerals. Fruits and vegetables go well with the avocado. 100 grams of avocado contain 15grams of fat. Furthermore, 12grams of the fat are monounsaturated fats. Therefore, a low saturated fat content. The content of avocados is full of vitamins. Omega 3 fat is good for the heart. Consequently, monounsaturated fats are the types of nutritional fat we should be consuming. The avocado has the ingredients for a healthy diet. Currently, doctors recommend monounsaturated fat. In addition, choosing unsaturated fats such as monounsaturated fat is a smart move. (mainly found in avocados) The monounsaturated fat is better for heart health. Monounsaturated fat helps to protect against heart disease and lowers blood pressure which is especially relevant. The oil content of avocados is a plus. The oils provided by an avocado include oleic acid and linoleic acid. Therefore, eat avocados fo a balanced diet. Most of all, the fat in avocados prevent high cholesterol. The calorie content of avocados is especially relevant. Furthermore, the calorie content is greater than other fruits and vegetables. Consequently, the nutritional fat content of avocados can lead to feelings of satiety. This can help with appetite regulation. Monounsaturated fat is very healthy. However, the content of avocados is extremely high in nutritional content. In addition, the avocado is a good example of a nutrient dense food. The benefits outlined above help keep the eyes healthy. Eating fruits and vegetables with the benefits of avocados is a healthy way to induce longevity. Always eat an avocado when it’s ripe. 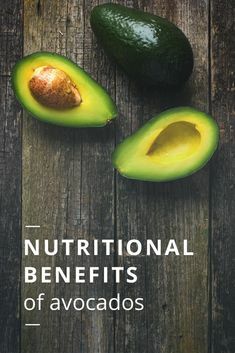 Avocados are nutritional like fruits and vegetables. Make sure to leave the avocado at room temperature a week. Hence, feeling them gently from time to time will help. When ripe, avocados should feel slightly soft when you apply some pressure. A firm avocado will ripen in a paper bag. It will ripen in a couple of days. You can also put them next to a banana. Most of all, do not put avocados in the fridge until they are ripe. After the avocado is ripe, squeeze lemon juice on the flesh to protect it from browning. The content of avocados should not be overripe. In conclusion, it will be brown with fibrous flesh. As a result, it will taste bitter and mushy and that is an indication of rot. Try our Diet Meal Plans and get Fit Fast just click on the Link!